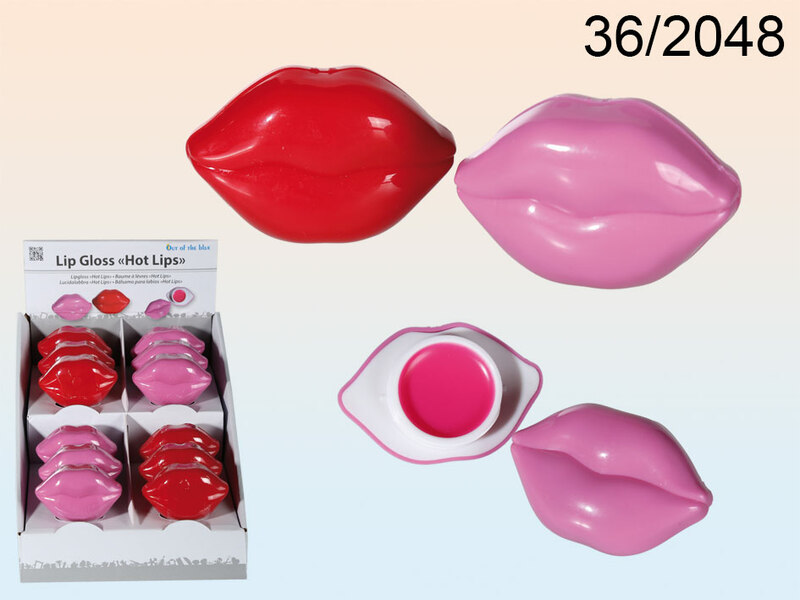 Lovely scented lip gloss in an amazing lips shaped plastic packaging. Great for every woman regardless of age. Several colours of packaging available - assorted. Weight: around 6 grams of lip gloss. When buying 48 pieces display stand is free of charge. Size: 6 x 4 x 3.2 cm.